See prestigious Paris monuments from Pont Alexandre III and Institut du Monde Arabe to Notre-Dame de Paris and more! Discover the French capital with this sightseeing cruise unlike any other! 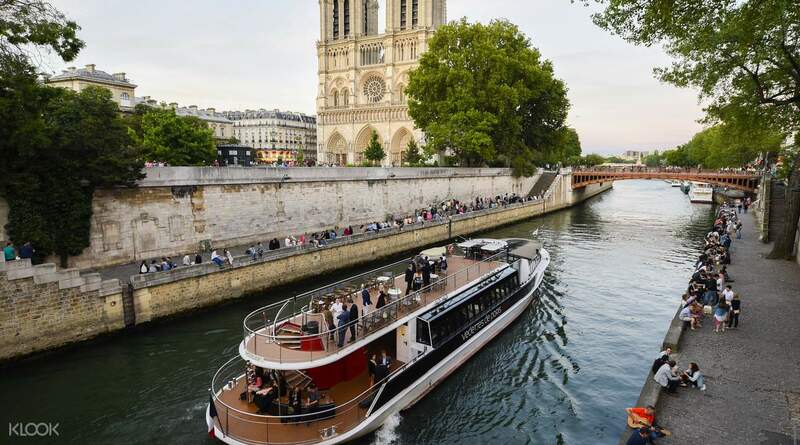 Starting at the Eiffel Tower, you'll cruise down the Seine, passing by top attractions like the Louvre, Notre Dame Cathedral and more, for a relaxing hour with unparalleled views. As you pass every monument, you'll be treated to a multilingual audio commentary that will give you a better understanding of the history of Paris, these destinations, and even some local legends. You can also add to your experience by opting to take the tour with a glass of champagne, or with snacks and refreshments! However way you decide to experience the Seine River sightseeing cruise, when in Paris, this is definitely something you cannot miss! it was very good! i saw all the historic landmarks and it is very near eiffel tower! it was nice travelling in february because the weather is bit warm and breezy at the same time. so worth it! will go back again! it was very good! i saw all the historic landmarks and it is very near eiffel tower! it was nice travelling in february because the weather is bit warm and breezy at the same time. so worth it! will go back again! It was a crowded cruise but everything was nice. Took the front lower deck seat, right next to the speaker. Announcements were made in French, English and Espanol. Very detailed and great view. food was so so. It was a crowded cruise but everything was nice. Took the front lower deck seat, right next to the speaker. Announcements were made in French, English and Espanol. Very detailed and great view. food was so so. Good activity to try on for visit to Paris. 1 hour Seine river cruise allowed us to review the several attractions along the river. 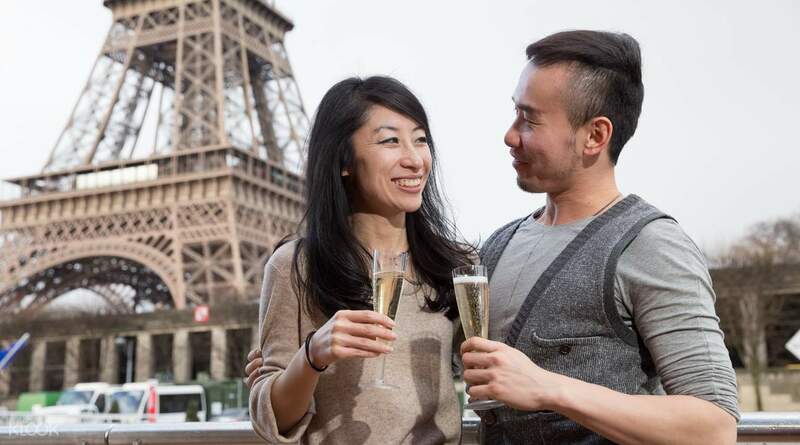 Redemption of ticket using printed voucher is easy at the counter that is easily located at the foot of Eiffel tower. Good activity to try on for visit to Paris. 1 hour Seine river cruise allowed us to review the several attractions along the river. Redemption of ticket using printed voucher is easy at the counter that is easily located at the foot of Eiffel tower. Easy to locate counter to change for ticket. Need a printed ticket. Nice relaxing cruise with scenic views. Would have been better if it was a “live” commentary host on board instead of a recording telling us the names of the buildings. Easy to locate counter to change for ticket. Need a printed ticket. Nice relaxing cruise with scenic views. Would have been better if it was a “live” commentary host on board instead of a recording telling us the names of the buildings. My family went during winter so it was very cold. We decided to sit on the lower deck instead. A paper guide was given (we chose English) and it was pretty helpful in helping you to recognise and learn about the buildings surrounding. My family went during winter so it was very cold. We decided to sit on the lower deck instead. A paper guide was given (we chose English) and it was pretty helpful in helping you to recognise and learn about the buildings surrounding. seine river cruise is Paris is a nice way to see Paris via waterways. although we enjoyed bus tour more than this but if you are with family like we were so this is also a good option to see Paris. we enjoyed it very much but the weather should be good. 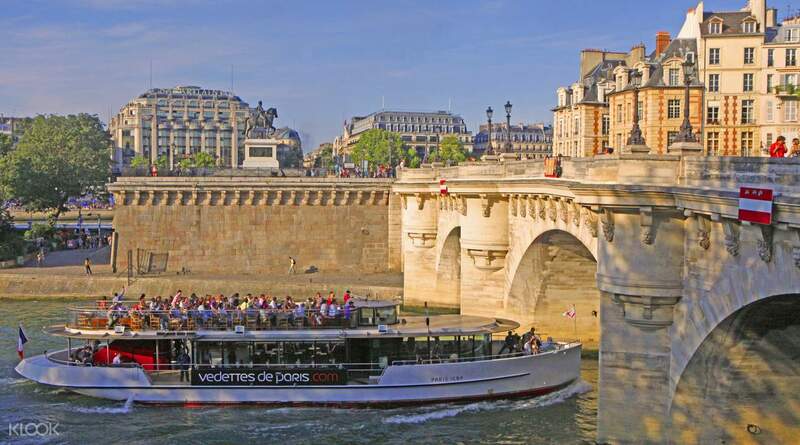 seine river cruise is Paris is a nice way to see Paris via waterways. although we enjoyed bus tour more than this but if you are with family like we were so this is also a good option to see Paris. we enjoyed it very much but the weather should be good. seine river sightseeing cruise in Paris beside effeil tower is one of the best thing and activity to do in Paris. it showcases all the beautiful architecture in Paris across seine river. klook is very quick in providing voucher and good customer service. 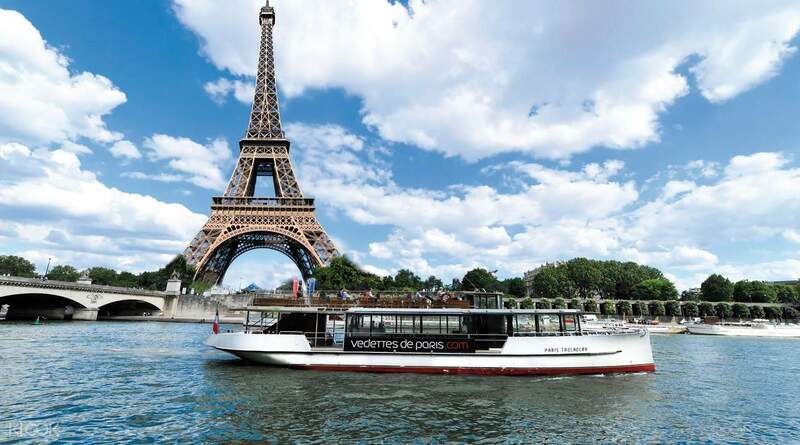 seine river sightseeing cruise in Paris beside effeil tower is one of the best thing and activity to do in Paris. it showcases all the beautiful architecture in Paris across seine river. klook is very quick in providing voucher and good customer service.